Use your private entrance to get to your future Condo at Audubon Villas in the Award Winning Town of Hunter's Creek. 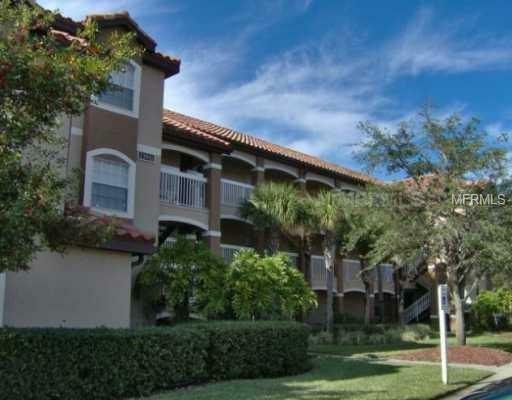 This 2 bedroom 2 bath condo comes with laminate floors and a view over the golf course. Audubon Villas is a gated community and features a very lush landscape, community pool, tennis courts, basketball courts, fitness center, walking paths, ponds and more. Talk about location not only are you in Hunter's Creek Zip 32837 but everything is near you. the Loop, Restaurants, Grocery Stores, 417,Orlando Airport, Target, Lake Nona, and amusements parks with in 30 minutes. Come See for yourself. Listing provided courtesy of Florida Fantasy Real Estate, I.